Secure the right address, faster, at a fair price through our extensive supply of properties in the most sought-after neighborhoods. 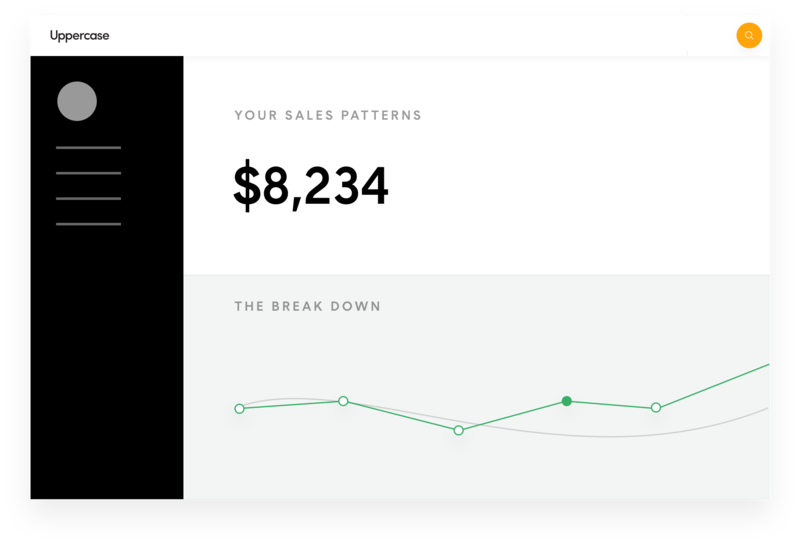 Your project dashboard lets you monitor your store's activity, like foot traffic and sales patterns, as well as manage legal and payments. Your dedicated retail expert is constantly at the ready with new ideas and been-there-before insights, offering smart support from the get-go. 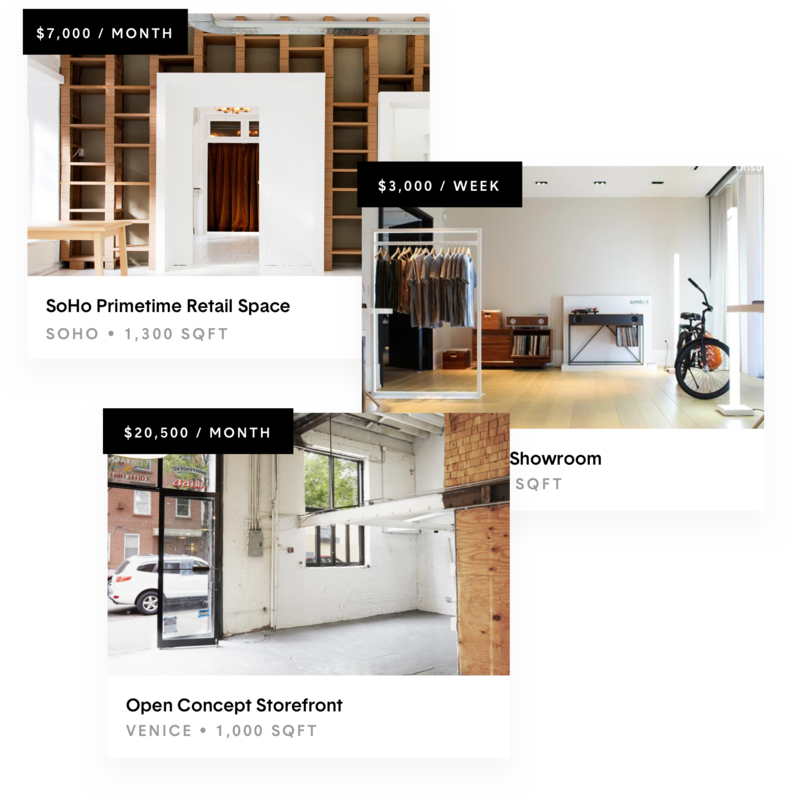 We'll provide you with demographics and market insights to make data-driven decisions for selecting the perfect location for your next retail store. Our local retail experts help you navigate intricate permitting, licensing, and insurance requirements of every city, state, and landlord. We work with your team to source turn-key or tailor made solutions for fabricating your store build-out. Post-production, we handle all your tear-down needs. We source, hire, and train store managers, and temporary or full-time retail staff. We provide intelligent staff scheduling and ongoing product knowledge training. We simplify payments with centralized invoicing, vendor management, and secure online payments by credit card or direct transfer. We cover the details including wifi, utilities, hardware troubleshooting, cleaning, repairs, maintenance, and emergency support. We’ll connect you with our local partners to source and install ready to go fixtures, or work with your team to design and fabricate a custom made solution. We create professional merchandising plans, performance analysis reports, and data-powered re-merchandising recommendations. Legal agreements are consolidated in a secure, central project dashboard where your team can collaborate to review, sign and track. We connect you with trusted local and national partners for concept design, spatial design, and other details like signage. We'll recommend and install a point of sale solution that seamlessly integrates with your business. We provide you with actionable insights on consolidated data captured from point of sale, traffic counters, sensors, and qualitative customer feedback. Our world-class team is here to help.